In the biggest hacking case in China's Internet history, police have arrested a man suspected of leaking personal information about more than six million users. The suspect, surnamed Zeng, was nabbed in Wenzhou, east China's Zhejiang Province, on February 4 after an investigation into the case, Beijing News reported. 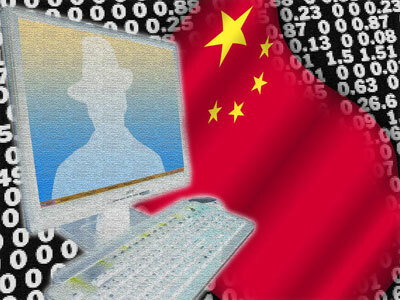 Surnamed Zeng suspected of leaking personal information belonging to more than 6 million users of the China Software Developer Network (CSDN). Zeng has been detained on charges of illegal acquisition of computer data. Police said the leaked information contained user IDs, passwords and e-mail addresses in clear text. The leak had a rippling effect on other websites, including online shopping, gaming, social networking and even financial service websites. Police noticed that most of the leaked data dated from July 2009 to July 2010, indicating the CSDN server was hacked before July 2010. Zeng caught the police's attention because he claimed in an online post in September 2010 that he had gained command of the CSDN database and wanted to cooperate with the website, it was reported.He admitted to hacking into the CSDN server in April 2010 through a system loophole and sneaking into an online recharge platform and a stock brokerage system. After the incident, Beijing police punished CSDN for poorly securing its database. CSDN apologized to its subscribers and claimed that its server has been properly protected since September 2010.